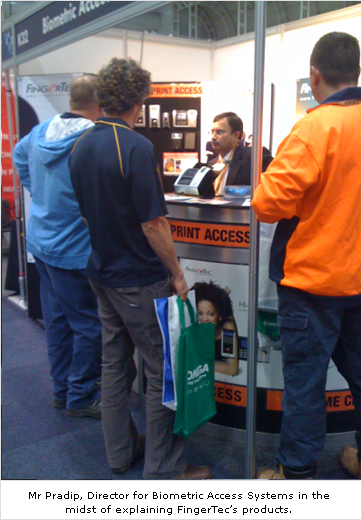 FingerTec in Australia received a large audience for their products, when on the 1st to 3rd September 2010, FingerTec’s partner in Australia, Biometric Access Systems Pty Ltd participated in the Security Expo 2010 which was held at the Sydney Convention & Exhibition Centre. The expo is known as one of the premier security industry events in Australia, showcasing over 150 brands and industry leaders in the security sector. 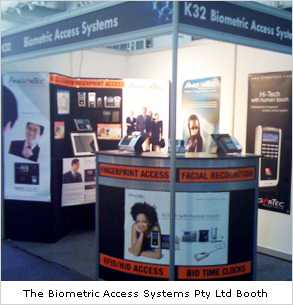 Biometric Access showcased a wide range of FingerTec products including time attendance reader TA100, access control system reader R2, card system Kadex & m-Kadex , and also the latest addition, the face recognition reader, Face ID 2. 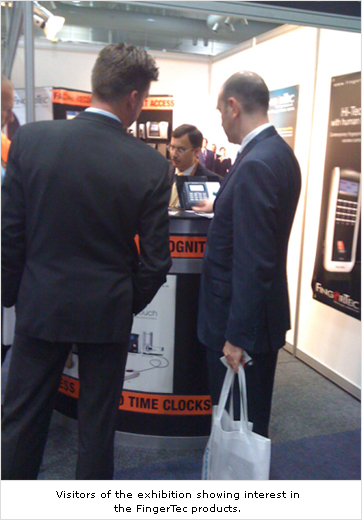 A variety of FingerTec terminals were showcased at the exhibition, to enable the visitors to try the terminals, and experience them. “The Face ID 2 was also displayed in a separate section of the Expo for new products, which we think will be a good exposure for us and the FingerTec brand “, added Mr Pradip, Director for Biometric Access Systems Pty Ltd.
“For us, the exhibition had a good turnout. Many visitors all over Australia came to the exhibition and we received great interest from hotels and government facilities especially for our attendance system. We also have found a few potential resellers for Australia. It’s a good boost for us and we hope all will turn out to be good for our business” finished Mr Pradip.